Many users tend to carry their laptops with them frequently, and it order to safely carry a laptop it’s recommended to use a laptop bag. There are many great laptop bags on the market, and today we’re going to show you some of the best laptop bags for your Windows 10 laptop. What are the best laptop bags for your Windows 10 laptop? If you’re looking for a laptop bag for your laptop, you might want to check out Tom Bihn Horizontal Brain Cell. This laptop bag offers superior hard-sided protection that will protect your laptop. The bag has thick soft foam padding 10mm sling that holds your laptop and a 4mm corrugated-plastic shell that will protect it from front, back and bottom. As for additional protection, there’s a 12mm thick strip of memory foam that will absorb any shocks. In addition, the sides of the bag are protected by 6mm dense cross-linked closed-cell polyethylene foam. The bag comes with two padded flaps that seal it with Aplix strips. 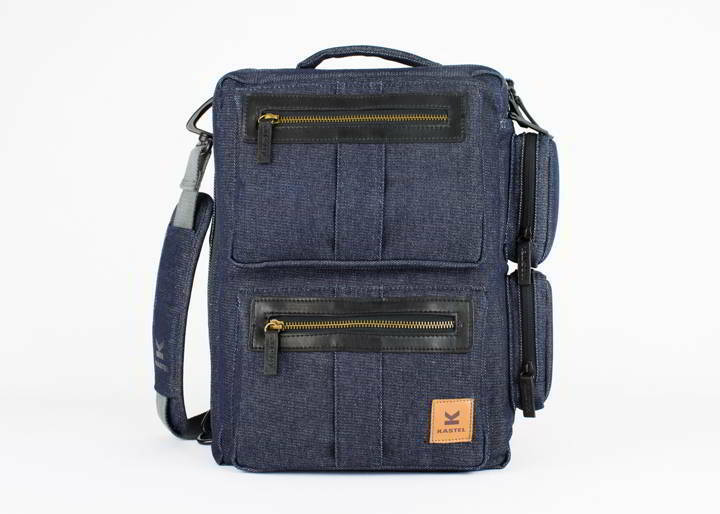 This bag also has two open-top pockets that can hold your power supply and additional cables. The bag has carry handles and a removable shoulder strap. Tom Bihn Horizontal Brain Cell is a great laptop bag and it’s available in several sizes, so you should be able to find the appropriate size for your laptop. 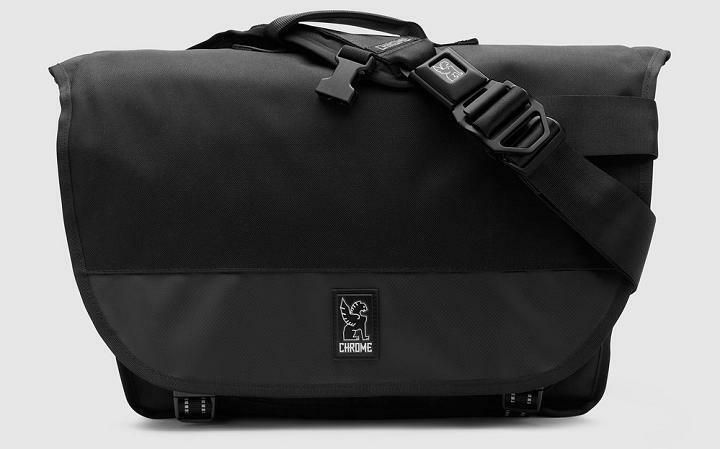 Regarding the price, you can get this laptop bag for $65. If you want a laptop bag that looks a bit more stylish, Lakeland Laptop Bag is just what you need. This bag comes with water resistant storm flap, so your laptop will remain protected at all times. The bag has dual carry handles that can be secured together with a snapping flap. Of course, crossbody strap is also included. The main compartment has quilted padded laptop sleeve with leather brass button stud closure and it can hold any 13-inch device. The bag has one full-width slip-in pocket on each side and four interior pockets for accessories. In addition, the bag has three pencil holders. This is a great laptop bag that offers solid water repellant protection. Lakeland Laptop Bag has a solid design and it’s available in three different colors. Regarding the price, you can get this laptop bag for $147.95. Herschel Supply Co. Clark Messenger Bag is a simple laptop bag and it comes with top zipper closure. The bag has leather-trimmed carrying handles, but it also has removable, adjustable shoulder strap. The bag has exterior zipper pocket that can store additional accessories. Regarding pockets, the interior has two zipper pockets as well as slip pockets. Regarding the material, this bag is made from 100% polyester. This is a solid laptop bag and you can use it to safely carry most 15-inch laptops. Regarding the price, Herschel Supply Co. Clark Messenger Bag is available for $98.29. 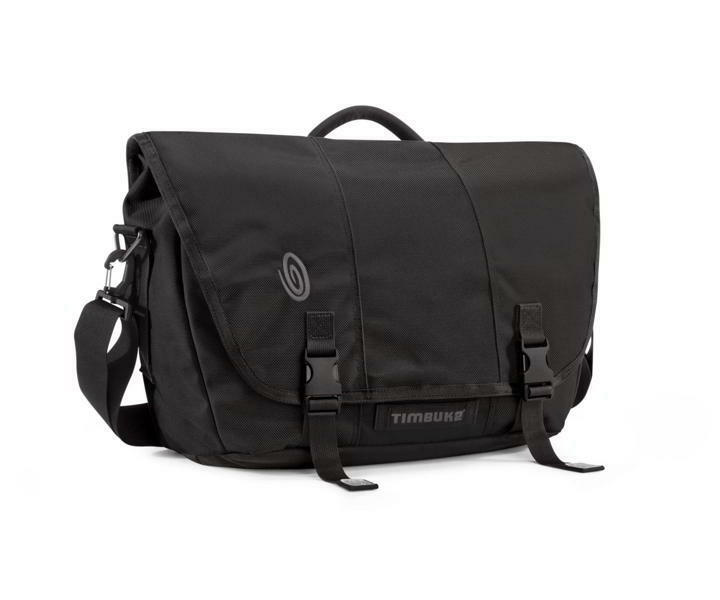 If you frequently commute, you might want to consider Timbuk2 Commute Messenger Bag. This bag comes with a front zipper and a cross strap, so you can easily carry it with you. 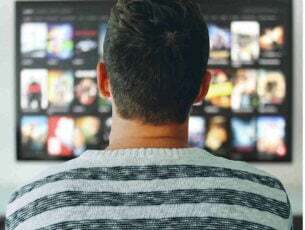 It’s also worth mentioning that the bag has a dedicated front pocket that you can use to store your smartphone or any other device. The bag is made from TPU liner so you can easily clean it. The bag has internal pockets that you can use to store your accessories or even your smartphone and tablet. Timbuk2 Commute Messenger Bag will be perfect for commuters that need to carry all sorts of items along with their laptop. If you’re looking for a laptop bag with multiple purpose, Timbuk2 Commute Messenger Bag will be perfect for you. 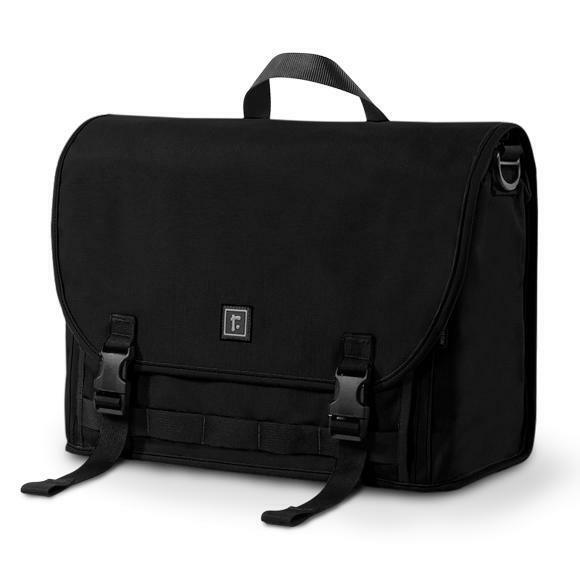 Regarding the price, you can get this laptop bag for $98. Keep in mind that the price will change according to the size of the bag. This laptop bag can easily hold almost any 15-inch laptop. The central compartment is protected by a zipper and it comes with various pockets that you can use to store your accessories. The bag is built with 500D CORDURA, so it offers a decent durability. It’s also worth mentioning that you can expand the central compartment by using a compression zipper. Just like all laptop bags, this one comes with removable shoulder strap. It’s also worth mentioning that you can hide backpack straps into the hidden compartment. The highlight of this laptop bag is that you can use it as a shoulder bag, briefcase or even a backpack. If you’re looking for a laptop bag that you can carry in any way, Mystery Ranch 3-way Expandable Briefcase might be perfect for you. Regarding the price, you can get this laptop bag for $150. Just like the previous entry on our list, Topo Designs Mountain Briefcase offers 3-way carry system. This allows you to carry it as briefcase, over your shoulder or on your back. The bag has a large main compartment and a padded laptop sleeve with velcro closure. There are also pen slots, open pocket and a zippered storage pocket on the inside. On the exterior there’s a zippered full-width pocket, pen slots and open top pocket. This bag has natural leather lash tabs and storable backpack straps. There are also exterior cinch straps available as well. Regarding the size, this laptop bag is large enough to hold most 15-inch laptops. Topo Designs Mountain Briefcase is handmade in Colorado and it’s available for $149. This is a classical laptop bag and it comes with cross-chest strap. Of course, the bag also has a carry handle so you can carry it as a briefcase. The bag has padded zippered laptop sleeve that can hold up to 17-inch laptops. Of course, there are additional pockets available for your accessories. The bag is made from 18oz truck tarpaulin liner and military grade nylon outer shell and it comes with a great design. As a result, this bag is weatherproof so your device will remain protected at all times. The bag has reflective straps that provide night visibility, and there are also mounting loops available. It’s also worth mentioning that the bag has an iconic quick-release buckle with an integrated bottle opener. Buran II Messenger bag offers great low-profile design, and it will be perfect for urban environments. Regarding the price, you can get this laptop bag for $160. 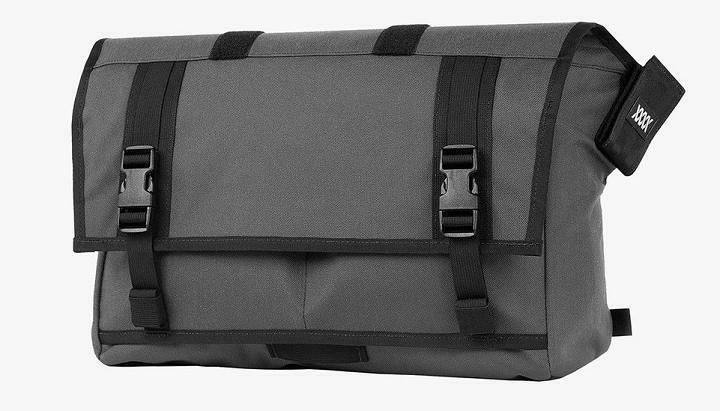 Mission Workshop The Monty is weatherproof laptop bag that will keep your laptop protected at all times. This is a messenger bag, so it doesn’t have a carrying handle. The bag has a roll top compartment and two cargo pockets. There’s also one internal zippered pocket and detachable cross chest stabilizer. The bag can hold 13-inch devices in the front zippered pocket, and up to 15-inch device in main compartment. The bag is made from 1000d Nylon and it uses YKK zippers. Mission Workshop The Monty offers a great design, and its only flaw might be the lack of carry handle. The bag is available in several different colors, and you can get it for $165. This laptop bag comes with a special freestanding design that allows you to easily access the bag’s content. The bag has a padded laptop sleeve that can hold up to 15-inch devices. There’s also a separate tablet compartment, cable management and several small pockets for your other accessories. The bag comes with removable shoulder pad and add-on stabilizer strap. The stabilizer strap is is extremely useful especially if you’re performing any activity such as biking. This laptop bag also has a carry handle so you don’t have to carry it on your back. DSPTCH Tech Messenger offers simple design, and it’s great if you need to carry your laptop and additional devices. Regarding the price, you can get this laptop bag for $192. 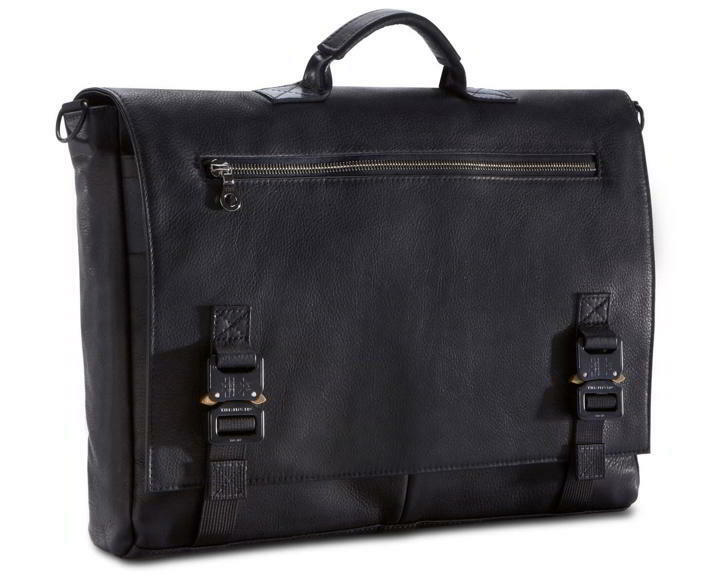 If you want a stylish high-quality laptop bag, you might want to consider Killspencer Briefcase 2.0. This laptop bag is made from full-grain leather, and it offers outstanding design. In addition to high-quality leather, the bag also has Swiss-made Riri zipper. The bag has a bullhide leather handle and removable bullhide leather shoulder strap. Killspencer Briefcase 2.0 has two Cobra buckles and padded interior to protect your devices. The interior has a nylon lined laptop compartment that can hold 15-inch devices. It’s worth mentioning that laptop compartment also has an elastic security strap that will secure your laptop. There are also two flat internal pockets and two expanding exterior pockets under flap. The bag also has an Alice clip attachment so you can add an accessory case if you want. Killspencer Briefcase 2.0 is a high-quality premium laptop bag, and it’s available for $575. This is another sleek and lightweight messenger bag for your laptop. The bag has French calf base and leather-covered top handle. This bag comes with a YKK Excella wraparound zipper and detachable cross body strap. Regarding the size, this laptop bag can hold 13-inch laptop with ease. Want Les Essentiels Heathrow Commuter Bag has an exterior pocket and several interior pockets for your accessories. 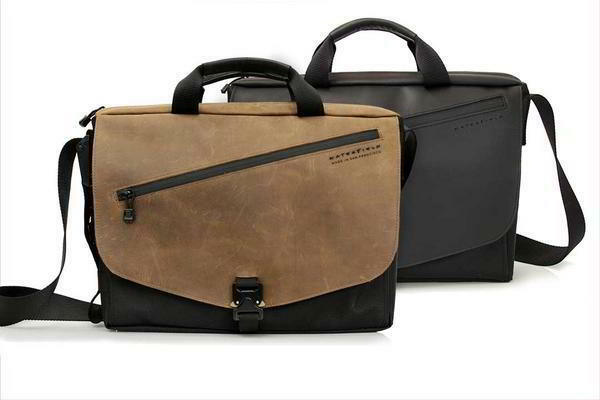 This premium laptop bag is available in two different colors and you can order it for $450. 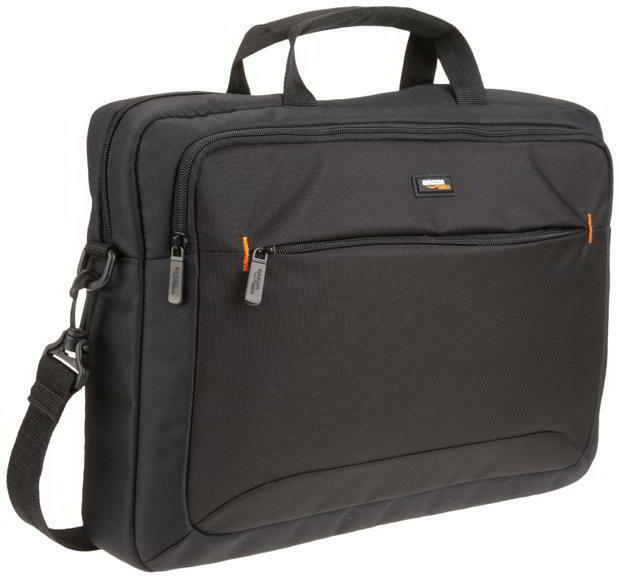 If you’re looking for basic and affordable laptop bag, you might want to consider AmazonBasics Laptop Bag. 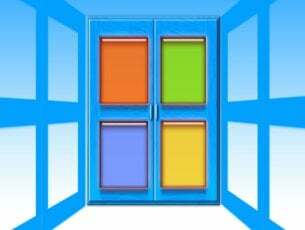 There are several models available and you can choose up to 17.3-inch model. This is a simple laptop bag and it comes with a central compartment that will hold your laptop. This is a multi-compartment laptop bag so you can easily carry your smartphone and additional devices with you. The bag has three compartments so you can easily fit everything that you need in the bag. It’s worth mentioning that this bag comes with padded shoulder strap, so you can easily carry the bag with you at all times. 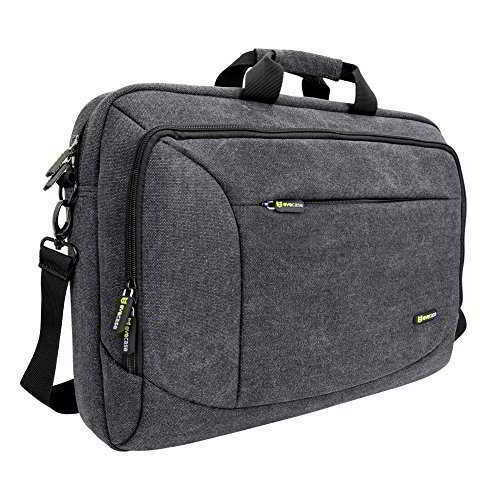 AmazonBasics Laptop Bag is a simple laptop bag, and it’s available in different sizes, so it will be perfect for any laptop. 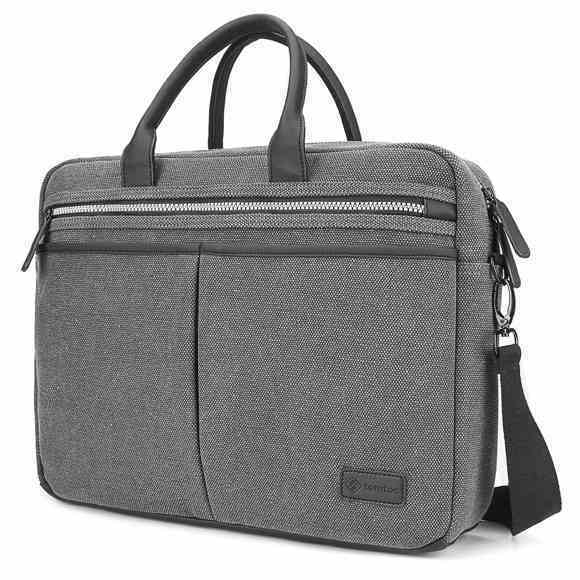 This laptop bag is rather affordable and you can get 15.6-inch model for $14.99. 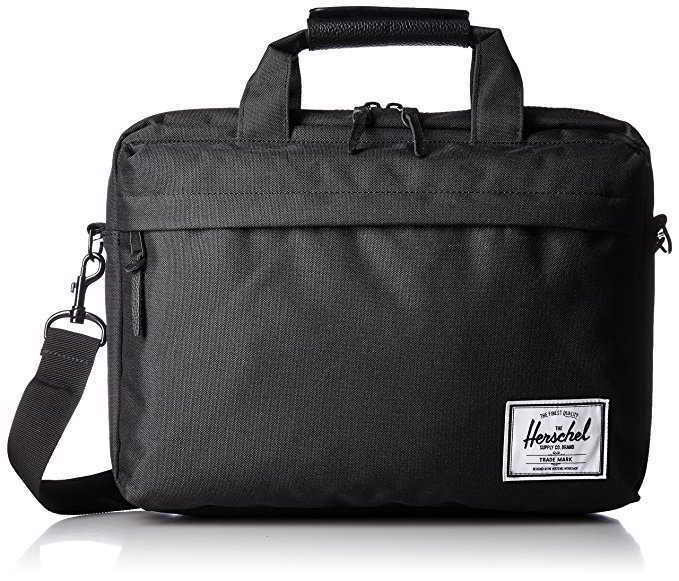 Premium laptop bags aren’t uncommon, and if you’re looking for high-quality laptop bag, you might want to consider Waterfield Designs Cargo Bag. This laptop bag comes with premium leather flap design and waterproof zippers that will protect your device. 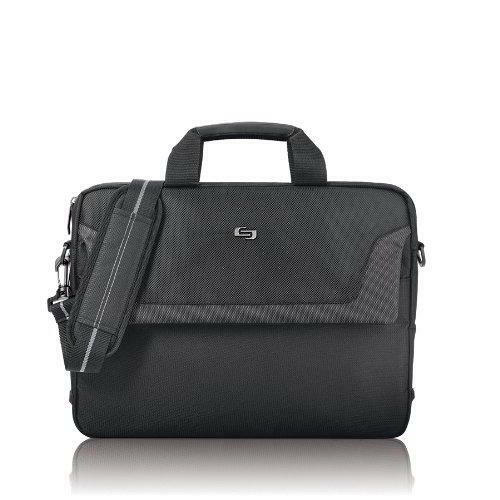 The bag also has built-in padded compartments that will protect almost any 15-inch laptop. In addition to laptop compartment, this bag also has tablet pocket and water-resistant liner. There’s also a front pocket that you can use to store your smartphone or any other device. In addition, a full-size open pocket is available on the back. Regarding the interior, there are two deep hand pockets and a pen holder pockets. 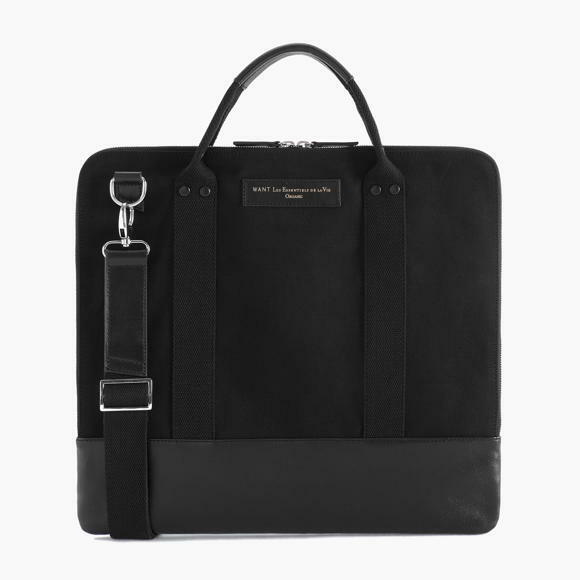 This laptop bag also comes with removable leather-topped shoulder pad. Waterfield Designs Cargo Bag is an amazing laptop bag, but such high-quality bag comes with a price. This laptop bag is available in three colors and you can get it for $349. 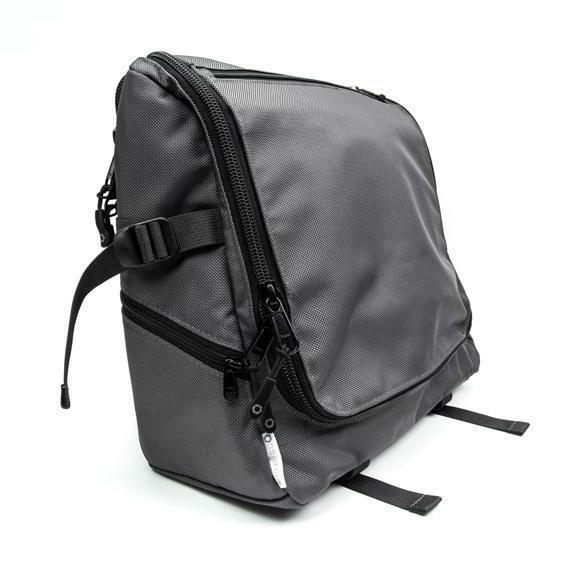 If you’re commuting, you might want to consider Rickshaw Commuter 3.0 laptop messenger bag. This laptop bag has stand-up design, so you can easily retrieve any item from it. The bag is made from rugged Cordura nylon exterior and it also has wipe-clean grey 420 nylon packcloth lining. 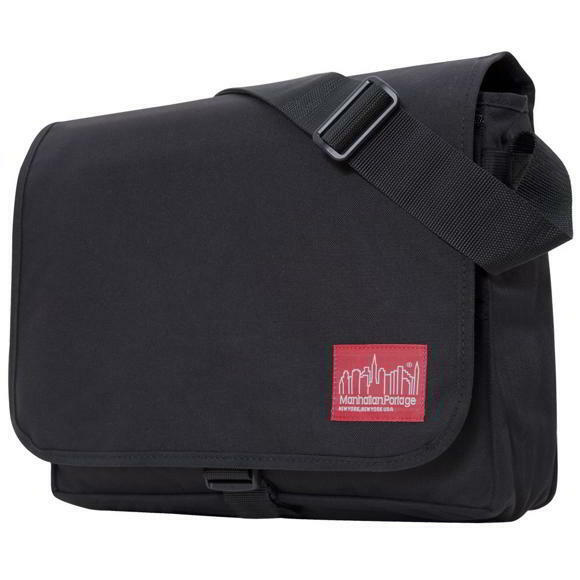 Rickshaw Commuter 3.0 laptop messenger bag has a laptop sleeve that can hold 15-inch laptop. 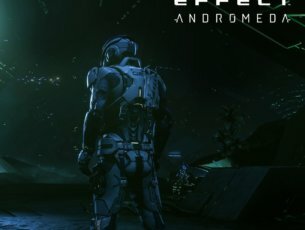 Regarding additional pockets, there are front and rear pockets for your items. This bag also has an adjustable shoulder strap and strap pad, so you can easily carry it with you. 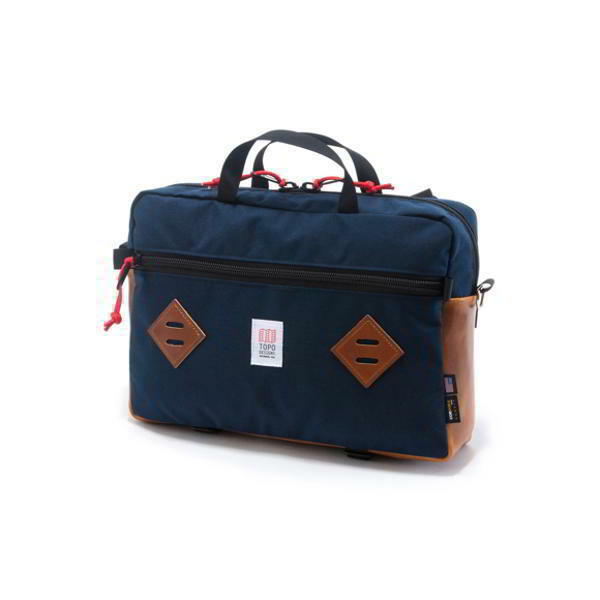 Rickshaw Commuter 3.0 laptop messenger bag is available in wide range of colors, and you can even get custom designs. This laptop bag is made in USA and you can order it for $199. Unlike other laptop bags on our list, this one isn’t made from premium materials and it offers simple design. This bag has three pockets on the front and one full-size pocket on the back. Regarding the laptop compartment, it can hold up to 17-inch device. The bag also has carry handles and removable shoulder strap. This is a simple laptop bag and there are several models available. All models have the same features, and the only difference is their size. 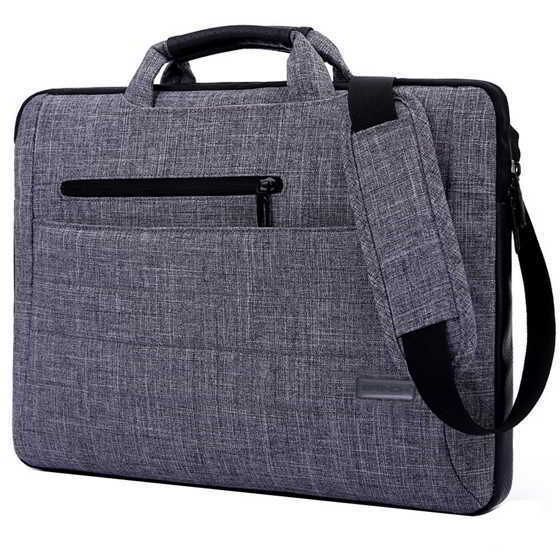 This laptop bag is available in many different colors, and you can order 15-inch model for $25. If you’re looking for an affordable laptop bag, Evecase Messenger Bag might be just what you need. This bag can hold any 17-inch device, and it comes with two zippered pockets on the front. In addition, this bag also has a full-size open pocket on the back. The central compartment has different pockets, so you can store additional devices and accessories with ease. Just like all laptop bags on our list, this one has a carrying handle and adjustable shoulder strap that lets you easily carry your laptop. This is a simple laptop bag, and it’s available in different sizes and two colors. Regarding the price, you can get 15-inch model for $29.99. 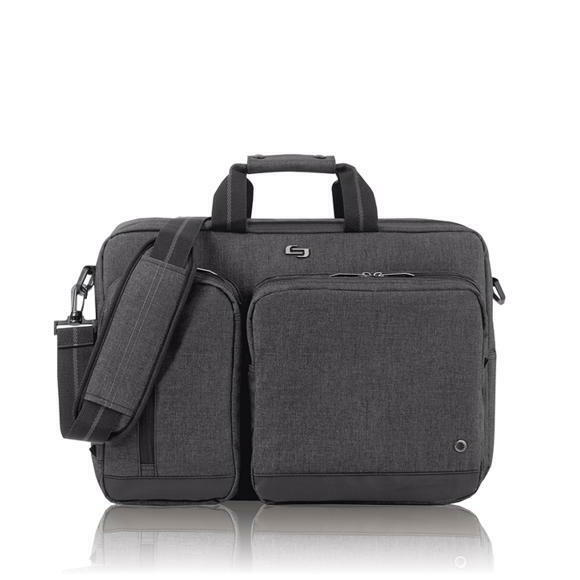 This is a low-profile laptop bag that will allow you to carry up to 17-inch laptop. This bag has flap design and it comes with four small pockets for different accessories. There’s also a large zippered pocket that you can use to store documents or other important items. This laptop bag also has water resistant coating that will protect your laptop at all times. We have to mention that this bag doesn’t have a carry handle, so you’ll have to use shoulder strap. Manhattan Portage Deluxe Computer Bag is a decent laptop bag with great low-profile design. This bag is available in four different colors, and you can get 15-inch model for $95. This laptop bag is made from durable high-density nylon and it has weather-resistant non-slip base for additional protection. The bag comes with a flap design and all important compartments are on the inside. Regarding the laptop size, this bag can hold up to 18-inch laptops. The central compartment also has many available pockets so you can easily carry your laptop accessories with you. Alienware Vindicator Messenger Bag has a carry handle along with a shoulder strap. 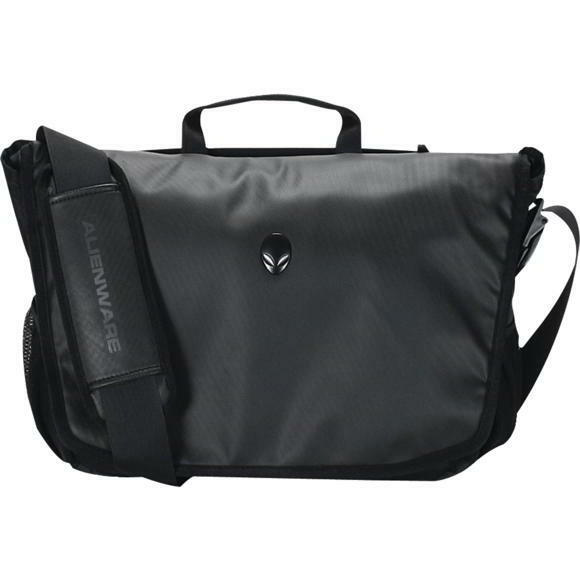 Alienware Vindicator Messenger Bag is a great laptop bag with a solid design. Regarding the price, you can get this bag for $74.99. Another simple laptop bag is ProCase Laptop Shoulder Bag. This bag comes with simplistic design and it can hold devices up to 15 inches. The bag is made from environment friendly materials and it’s padded so it will absorb shocks. The bag has a front zipper pocket so you can easily store any laptop accessory. This bag has carry handles, but there’s also a removable shoulder strap that you can use. ProCase Laptop Shoulder Bag is a simple laptop bag, but it doesn’t offer as many compartments or pockets as other bags on our list. Regarding the price, 15-inch model is available for $27.99. If you’re looking for a hybrid laptop bag, Solo Laptop Hybrid Briefcase Backpack might be just what you need. This laptop bag has fully padded 15.6-inch compartment for your laptop. In addition, there’s an internal pocket that you can use to store your tablet or your laptop accessories. There’s also a large front pocket that you can use to store documents or any other items. We also have to mention that there are two front pockets for quick access. Solo Laptop Hybrid Briefcase Backpack has padded carry handles with magnetic snaps and a removable shoulder strap. In addition, this laptop bag has hidden backpack straps, so you can easily transform your laptop bag into a backpack. Solo Laptop Hybrid Briefcase Backpack is a great laptop bag, and it will be perfect for any user. Regarding the price, you can get this bag for $30.96. Simple laptop bags are usually the best, and if you’re looking for a simple laptop bag, you might want to check Solo Pro. This laptop bag has a 16-inch laptop compartment that will hold your device. In addition, there’s a full length front pocket that you can use to store your accessories. This bag has padded carry handles and removable shoulder strap. 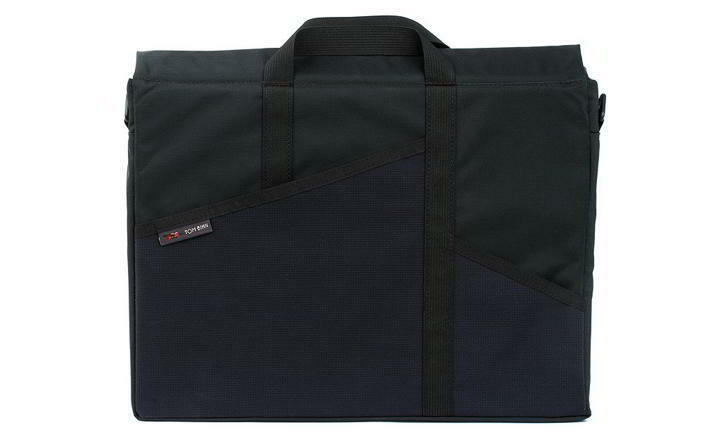 Solo Pro laptop bag is made from polyester and it offers simple design, so it’s perfect for basic users. Regarding the price, you can order this laptop bag for $32.49. Most laptop bags tend to have a similar look, but if you want something a bit different, you might want to consider Kastel Bags Donjon. This laptop bag has modern design and it can hold 15-inch devices with ease. The interior has protective pads and high density foam that will protect your laptop from accidental damage. This bag has four exterior zippered pockets so you can easily carry any additional accessories. On the inside there are two large pockets that you can use for your laptop or tablet and four smaller pockets that can store your accessories. It’s also worth mentioning that this bag has a charging port system, so you can easily charge your devices even if you’re on the move. Kastel Bags Donjon also offers waterproof rain protection, so your device will be safe at all times. The bag has a carry handle and a removable shoulder strap. Kastel Bags Donjon offers great design and solid number of compartments that you can use to store your accessories. Regarding the price, you can get this laptop bag for about $133. If you want a simple and stylish laptop bag, you might want to consider Hex Infinity Cross-Body. This laptop bag comes with flap design and water resistant exterior. The bag has quick access pocket that is large enough to hold a tablet and you can access it without opening the flap. 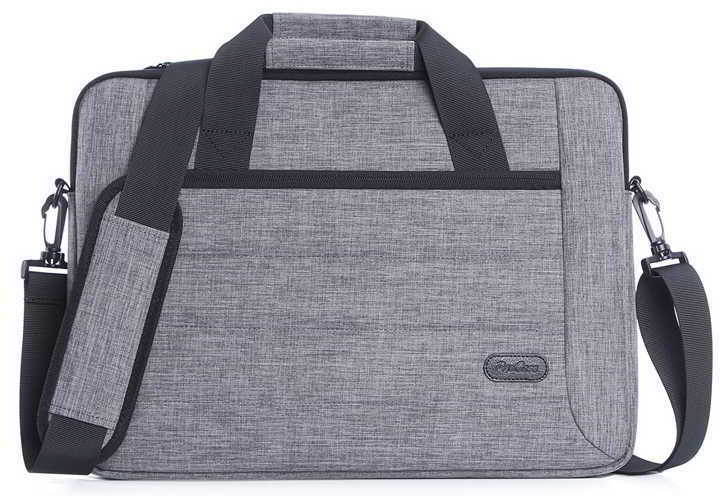 This laptop bag has a magnetic flap and several internal open pockets. Regarding your laptop, it is stored in zippered internal pocket. Hex Infinity Cross-Body offers simple and attractive design, so it will be perfect for any type of user. Although this laptop bag offers great design, it can hold 12-inch devices which might not be enough for some users. Regarding the price, you can get this laptop bag for $69.95. 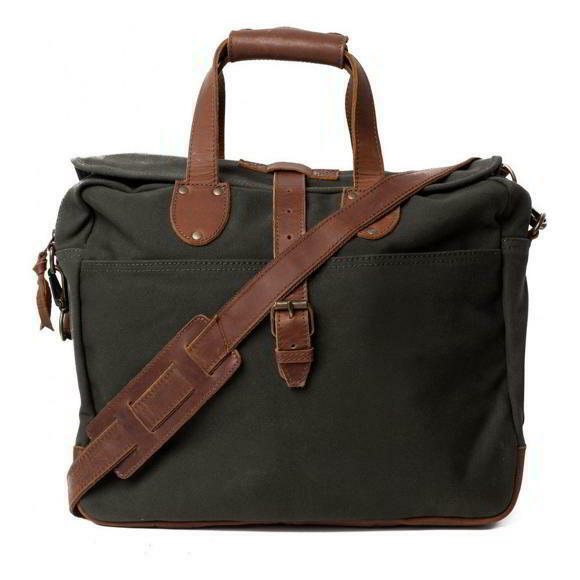 Simple laptop bags are usually the best, and one simple laptop bag is Tomtoc Vintage Canvas Laptop Bag. 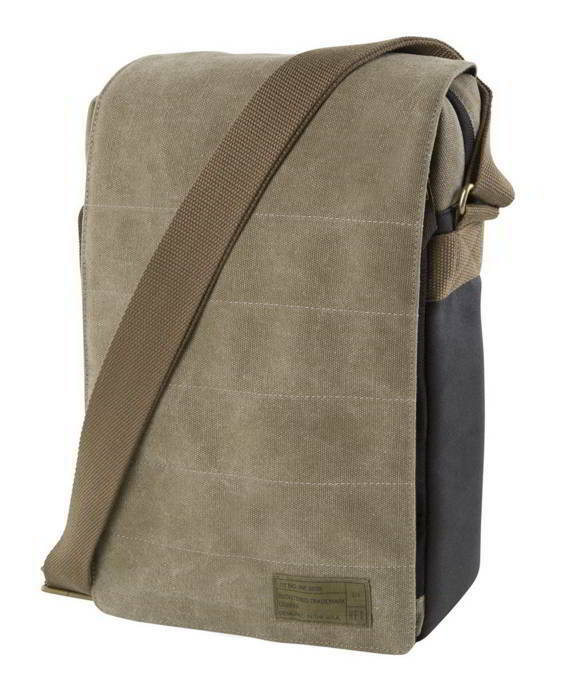 This laptop bag is made from extra-durable canvas material, so it will keep your laptop safe and clean. Regarding the laptop size, this bag can easily hold any 15.6-inch laptop. The bag comes with full-size zippered pocket on the front, and there are also two open pockets as well. This bag has a number of pockets so you can easily carry all your accessories with you. 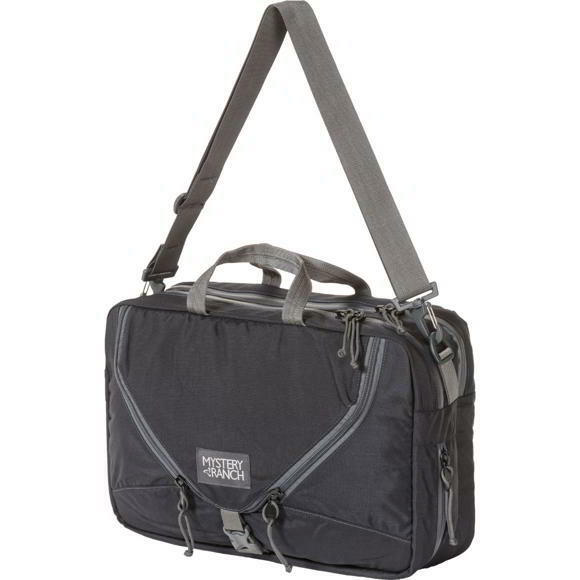 Just like any other laptop bag, this one has a carry handle and a removable shoulder strap. If you’re looking for a simple laptop bag that has enough pockets for all your accessories, you might want want to consider Tomtoc Vintage Canvas Laptop Bag. Regarding the price, you can get this bag for $36.99. If you plan to carry your laptop with you, you’ll need a suitable laptop bag. There are many great laptop bags on the market, and we hope that you found a suitable bag for you on our list.